CBS fired Don Imus from his radio show Thursday, the finale to a stunning fall for one of the nation’s most prominent broadcasters. “There has been much discussion of the effect language like this has on our young people, particularly young women of color trying to make their way in this society,” CBS President and Chief Executive Officer Leslie Moonves said in announcing the decision. “That consideration has weighed most heavily on our minds as we made our decision. That might be the most surprising part of the whole story–that he was once considered one of the 25 Most Influential People in America. I never really followed his show so I might be missing something by only having seen an occassional interview by him and rare visits on other shows, but I was never impressed with him as a broadcaster even if you ignore his off the wall statements. Recent graduates of the US Military Academy at West Point are choosing to leave active duty at the highest rate in more than three decades, a sign to many military specialists that repeated tours in Iraq are prematurely driving out some of the Army’s top young officers. According to statistics compiled by West Point, of the 903 Army officers commissioned upon graduation in 2001, nearly 46 percent left the service last year — 35 percent at the conclusion of their five years of required service, and another 11 percent over the next six months. And more than 54 percent of the 935 graduates in the class of 2000 had left active duty by this January, the statistics show. The figures mark the lowest retention rate of graduates after the completion of their mandatory duty since at least 1977, with the exception of members of three classes in the late 1980s who were encouraged to leave as the military downsized following the end of the Cold War. In most years during the last three decades, the period for which West Point released statistics, the numbers of graduates opting out at the five-year mark were between 10 percent and 30 percent, according to the data. The rising exodus is blamed on a number of factors, including the economic lure of the private sector. But interviews with former West Point superintendents, graduates, and retired officers pointed to another reason: the wear and tear on officers and their families from multiple deployments. “Iraq is exerting very strong influence on the career intentions of junior officers,” said retired Lieutenant General Daniel Christman, a former superintendent of West Point, who recently outlined the war’s toll on young officers in a speech to West Point alumni in North Carolina. 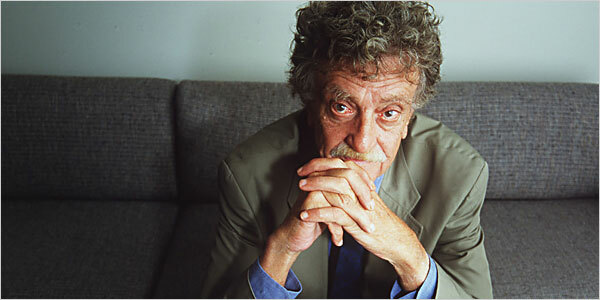 Mr. Vonnegut suffered irreversible brain injuries as a result of a fall several weeks ago, according to his wife, Jill Krementz.